Bringing a Motorhome to Ireland is never a cheap expedition, once we take in the price of the ferry it gets expensive. But there are ways to make your crossing cheaper. If you book with Stena from Cairnryan - Belfast and choose a Tuesday, Wednesday or Thursday sailing you can get a motorhome for the same price as a car. Of course if you live in the South of England or Wales you might not want to travel to Scotland. Irish Ferries also offer some great sailings, especially for those in South Britain, Pembroke - Rosslare and Holyhead to Dublin. 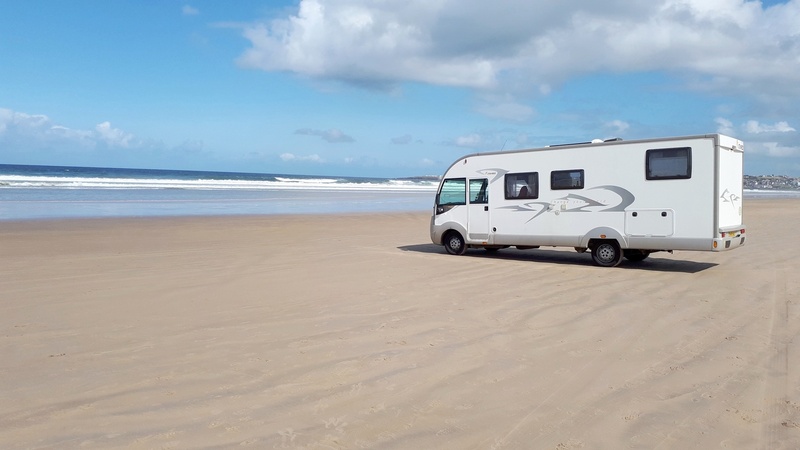 There are numerous guides, maps, books and campsite related websites available, we recommend the Motorhome Parking Ireland App which at the time of this article has over a 1000 POIs and thousands of reviews on POIs from motorhomers touring Ireland. Campsites, Aires, what some would call Wild Camping, Bars and cafes that welcome Motorhomes. All checked and verified POIs, data built up over 7 years, it also works offline, opens your satnav App and takes you directly to your destination. Of course there is loads to see and do in Ireland, whteher you are visiting NI or ROI, you will be catered for with parking by using the above App, but if you want to find and ask about sights here are some links. Motorhome friendly Pubs and Restaurants. Some handy Maps for your travels.